Cats, unlike dogs, rarely cough due to heart disease or an infectious disease such as a common cold. Coughing in a cat is actually often due to a disease called feline asthma. Feline asthma can be called by other names including chronic bronchitis, bronchial asthma, and allergic bronchitis. Regardless of the name, it is a common feline ailment that affects cats of any age and any breed. Cats with feline asthma have inflammation and narrowing of the lower airways in their lungs — sometimes known as chronic obstructive pulmonary disease (COPD). Allergens are generally the cause, although which ones must be determined for each cat. Common allergens include grass and tree pollens, various sprays (hair sprays, deodorants, flea sprays, deodorizers), and dust from cat litter. Parasitic lung infections can also be linked to asthma, although such parasites are rare in Colorado. 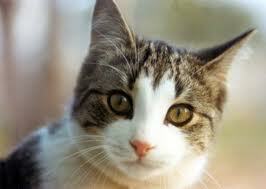 Symptoms: Although symptoms can begin at any age, most cats are between 2-8 years of age when diagnosed. The common symptoms in cats with asthma are wheezing and coughing. The coughing is typically described as a dry, hacking cough that could be confused with gagging or retching. Often a cat’s guardian may think the cat is having hairball trouble, since the symptoms are similar. The amount of the coughing varies from occasional in mildly affected cats to daily in severely affected cats. In addition to daily coughing, the most severely affected cats may have many bouts of airway constriction. This constriction of the airway can lead to open-mouth breathing and panting that can be life threatening. If severe and left untreated, the airway constriction can lead to irreversible lung damage, heart disease or even death. Diagnosis: Diagnosis is typically made based on radiographs of the cats lungs and a history of coughing or wheezing. However, definitive diagnosis can require extensive testing to rule out infectious and neoplastic lung diseases. In addition to blood work and X-rays, diagnosis may require anesthesia, so that samples can be taken from deep in the lungs for culture and cytology. 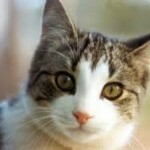 Treatment: There are many different treatment options for feline asthma. The most common treatment is with medications that are aimed at decreasing inflammation and opening airways. These medications can be oral, injectable or even inhaled — yes, there is such a thing as a kitty inhaler! Some cats need continuous therapy while others just need it during asthma attacks. Along with medications, many asthmatic cats benefit from acupuncture or at-home oxygen therapy. The most effective treatment for feline asthma has been the use of inhalers, the same as for human asthmatics, and decreasing the cat’s exposure to allergens. Unfortunately, there is no cure for feline asthma. It is a chronic, progressive disease, and medications may not fully eliminate the coughing but will reduce the severity of symptoms. Although many cats with feline asthma act fairly normal between asthma attacks, the disease is progressive over time and does need to be addressed as early as possible. So if your cat is coughing like it has a hairball, but never produces a hairball, talk with your veterinarian about the possibility of your cat having feline asthma. This entry was posted on Saturday, October 6th, 2012 at 1:49 pm	and is filed under Cats, Medical Issues. You can follow any responses to this entry through the RSS 2.0 feed. You can leave a response, or trackback from your own site.